November 19, 2012 | David S. Maldow, Esq. 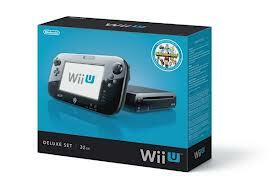 Yesterday Nintendo finally dropped the successor to the historic Wii videogame console. If you were smart enough to pre-order, or lucky enough to get one by waiting on line, you are probably too busy playing to read this. Ok fine, go play, but when you are ready to take a break, come back and find out what I learned from Vidyo CEO and co-founder Ofer Shapiro about this new partnership, about how your new gaming device also happens to include a business class videoconferencing codec. First of all, when I say "FPS" do you think about Frames Per Second, or do you think about First Person Shooters? Regardless of how you answered, I will try to explain why you should be excited by this announcement, because this effects both the videoconferencing and the gaming communities. The announcement itself is pretty straightforward. 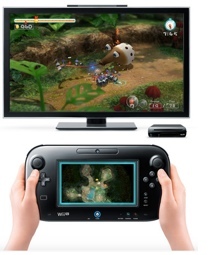 The new Wii U has Vidyo-powered videoconferencing capabilities. The video above illustrates how this has been integrated into Wii U Chat. 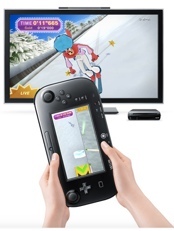 No complicated explanation needed, you can simply use your Wii U to make video calls to other Wii U devices. Today it supports point to point (or Mii to Mii) calls, but multipoint and mobile support are in the works. From the perspective of the visual collaboration industry, adding videoconferencing to a common and widely distributed gaming platform is a big step towards the adoption of living room videoconferencing. Consumers have been hesitant to buy living room videoconferencing solutions in the past, but they may be more open to using videoconferencing if it is included in a gaming and OTT solution that they are already using including for audio chat now. From a gamer's perspective, this will immediately add a new element to your existing gaming sessions, by letting you hang out with remote friends in between, or even during, matches. It also means that Nintendo game developers have an interesting new tool for their toolboxes and can now use live, interactive video as a part of the gaming experience. Special Message For Videoconferencing Folks. If you don't see the relationship between gaming and remote communications, you need to understand that many of the most popular titles are multi-player online games including blockbuster hits like Call of Duty, Halo, and World of Warcraft. Often gamers play as teams, which makes communications crucial as they need to work together to win. Modern gamers don't just grab their controller when it's time to rumble, they put on their headset so they can coordinate with teammates and trash talk opponents. The connection between VoIP and gaming has been firmly established and is massively successful. You wouldn't believe how many people log into their gaming solution just to chat with friends, even when they have no intention of playing. The Wii, XBox, Steam Service, etc., can be just as essential to a gamer's communications networks as Facebook, email, or even the telephone. Leveraging a gaming platform for communications is a proven model, so this isn't an unusual or exceptionally risky partnership. Even if you "don't get" gaming, you can appreciate the fact that the original Wii sold over 100 million units. It still enjoys a prominent location and broadband internet connectivity in tens of millions of living rooms (including mine). Based on early reviews, and keeping in mind the incredible loyalty of Nintendo fans, it is safe to assume the Wii U will sell tens of millions of more units, even if it doesn't match up to the popularity of the original. This means the Vidyo enabled Wii U represents the largest deployment of living room videoconferencing systems in history. Other living room systems exist, but none of them have anywhere near this level of market penetration. Bottom line, since gamers already treat their gaming platforms as communications devices, inherent videoconferencing support makes perfect sense. Hey gang, please tell your teammates you will brb and take off your headsets for a second, because this is pretty cool. These guys at Vidyo have this technology that makes videoconferencing work really well over the internet (even for your friends with lousy connections), and the guys at Nintendo have incorporated it into the new Wii U. Whether you just want to hang out with your buddy on video in between matches, get on video with a teammate to make sure he is paying attention when you talk strategy, or just use it for straight up videoconferencing, it was just added for no additional cost. The really cool stuff is going to come when our favorite game developers get their hands on this technology. I have some ideas that I might share in a future article. Please keep in mind that we aren't just getting the gift of free videoconferencing, we are getting free premium videoconferencing. This isn't a cheap, watered down solution for gamers. Vidyo is one of the videoconferencing vendors that Fortune 500 companies use to power their fancy board room videoconferencing systems. 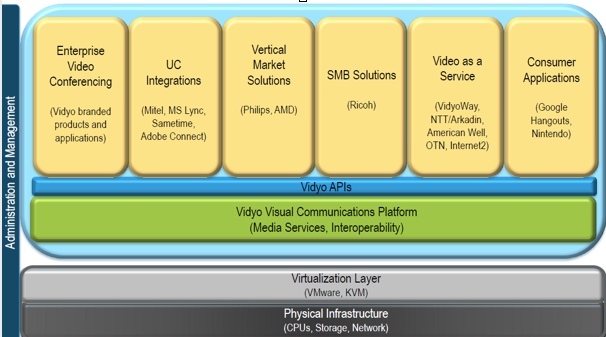 Why would Nintendo pay Vidyo for its technology instead of just using some open source videoconferencing code? It is still tricky to get high quality images over an internet connection, and Nintendo can't risk putting something weak or mediocre into the new Wii U. They would get torn apart on social media. Gamers have high standards and Nintendo isn't the only platform on the market. We all know that bad videoconferencing gets annoying fast. With Nintendo's legendary focus on experience, mediocre VC is not an option. There are only a few quality solutions on the market for killer video so it will be interesting to see which platforms get integrated business-class video next. My readers should know by now that I firmly believe videoconferencing belongs in the living room. At work we meet in meeting rooms, at home we hang out in living rooms. So why is it, when I want to hang out with my friends online, I am forced to do it sitting at my desk in my home office? Living room videoconferencing is more natural, more comfortable, and more fun than desktop videoconferencing. But it is still too new and different, and has failed too many times (Cisco umi, Espresso HD, Biscotti, etc. 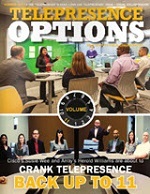 ), to expect viral adoption for a new videoconferencing appliance. Quite simply, if Vidyo were to try and design, build, and sell a living room VC appliance, it would be a risky move, and completely out of their wheelhouse. Instead they are piggybacking on another appliance which is guaranteed to get placed in tens of millions of living rooms and potentially 100MM+. Even if 99% of Nintendo purchasers are complete videophobes (highly unlikely) we are still talking about a million new living room videoconferencing users. What does this mean for Vidyo? Ofer Shapiro believes this could potentially be a billion dollar revenue source for Vidyo. I won't make any personal predictions as to whether or not this will happen, but at least I can explain Ofer's math. First of all, Nintendo isn't paying Vidyo a billion dollars. They are paying something, but the amount is not disclosed and certainly not in that ballpark. So where does this billion dollar potential come from? Multipoint support. Vidyo multipoint meetings are enabled by patent-protected Vidyo technology (VidyoRouters, VidyoWay, their new software MCU). If new Wii U games or apps are designed to incorporate multipoint meetings, the app will have to include, or the host will have to purchase, VidyoLines (Vidyo multipoint licenses). If the Wii U sells 100 million units, like its predecessor, Ofer believes this could translate into the need for as many as 1 million VidyoLines, which means about $1 billion in Vidyo revenue. There are more than a few "ifs" in that projection, but even with the "ifs" it is still an eye opener. As I said above, if I had the creative talent to design multipoint Wii U apps, I would be working at a gaming company. But in order to help explain the potential business models, let's look at the hypothetical example of a Wii U app called "Karate Dojo Master." This app would allow a Karate Instructor to hold classes over the Wii U, with students in their living rooms. It could work under various business models. For example, an owner of a real life Dojo could buy an app which includes VidyoLines for instructors (allowing them to host multipoint classes online) and guest accounts for students (allowing them to join the classes). Or perhaps a service could sell the app to students for approximately the cost of a Dojo membership, and allow them to select from a choice of online instructors. My best guess is that we will see some creative adaptations in the next year, before something sticks and becomes the standard model. Regardless of the logistics, the potential uses (home personal training, shopping, tutoring, gaming, socializing, etc.) are exciting and fun. I really can't wait to see what they come up with. Although it goes beyond the scope of this announcement, I want to spend a minute or two discussing how this fits into the bigger puzzle of Vidyo proliferation. Vidyo is very excited about the graphic above, as it shows their progress on their ultimate journey, which is to replace video with Vidyo. When Vidyo first hit the scene, they were viewed as an enterprise videoconferencing play (meeting room and executive videoconferencing), because at the time those were the primary uses for interactive video. Vidyo has always believed that part of the power of their technology is that it does not depend on dedicated meeting room hardware and QoS networks, which means it can be adapted to a wide range of new uses. As a result, they have worked to partner with various innovators and have a number of interesting and successful implementations currently in place. From this perspective, the Nintendo Wii U is just another device to add to the list of systems currently supporting Vidyo's architecture. The fact that it is the flagship product for such an incredibly high profile company is further validation of Vidyo's software. As exciting as this announcement is, I cannot project that this will be the final answer to the home videoconferencing question. After all, not everyone will get a Wii U and the full extent of its interop potential is yet to be seen. But at the very least, this is a cool capability for the Wii U and could perhaps wind up being a significant step on the journey towards the final goal of ubiquitous home videoconferencing. David Maldow, Esq. 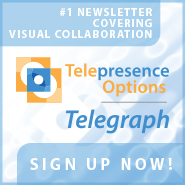 is a visual collaboration technologist and analyst with the Human Productivity Lab and an associate editor at Telepresence Options. David has extensive expertise in testing, evaluating, and explaining telepresence and other visual collaboration / rich media solutions. David is focused on providing third-party independent analysis and opinion of these technologies and helping end users better secure their telepresence, videoconferencing, and visual collaboration environments. David is also an avid gamer and follows closely the integration of videoconferencing into gaming applications. You can follow David on Twitter and Google+. \nFirst of all, when I say \"FPS\" do you think about Frames Per Second, or do you think about First Person Shooters? Regardless of how you answered, I will try to explain why you should be excited by this announcement, because this effects both the videoconferencing and the gaming communities. The announcement itself is pretty straightforward. 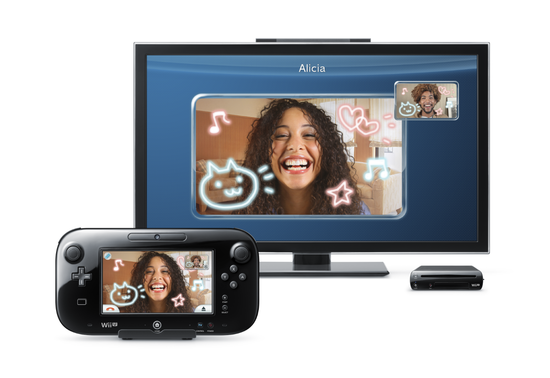 The new Wii U has Vidyo-powered videoconferencing capabilities. The video above illustrates how this has been integrated into Wii U Chat. No complicated explanation needed, you can simply use your Wii U to make video calls to other Wii U devices. Today it supports point to point (or Mii to Mii) calls, but multipoint and mobile support are in the works. Even if you \"don't get\" gaming, you can appreciate the fact that the original Wii sold over 100 million units. It still enjoys a prominent location and broadband internet connectivity in tens of millions of living rooms (including mine). Based on early reviews, and keeping in mind the incredible loyalty of Nintendo fans, it is safe to assume the Wii U will sell tens of millions of more units, even if it doesn't match up to the popularity of the original. This means the Vidyo enabled Wii U represents the largest deployment of living room videoconferencing systems in history. Other living room systems exist, but none of them have anywhere near this level of market penetration. Ofer Shapiro believes this could potentially be a billion dollar revenue source for Vidyo. I won't make any personal predictions as to whether or not this will happen, but at least I can explain Ofer's math. First of all, Nintendo isn't paying Vidyo a billion dollars. They are paying something, but the amount is not disclosed and certainly not in that ballpark. So where does this billion dollar potential come from? Multipoint support. 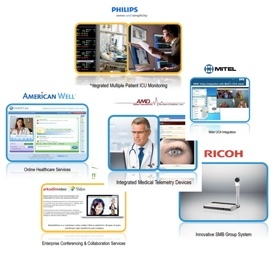 Vidyo multipoint meetings are enabled by patent-protected Vidyo technology (VidyoRouters, VidyoWay, their new software MCU). If new Wii U games or apps are designed to incorporate multipoint meetings, the app will have to include, or the host will have to purchase, VidyoLines (Vidyo multipoint licenses). If the Wii U sells 100 million units, like its predecessor, Ofer believes this could translate into the need for as many as 1 million VidyoLines, which means about \$1 billion in Vidyo revenue. There are more than a few \"ifs\" in that projection, but even with the \"ifs\" it is still an eye opener. As I said above, if I had the creative talent to design multipoint Wii U apps, I would be working at a gaming company. But in order to help explain the potential business models, let's look at the hypothetical example of a Wii U app called \"Karate Dojo Master.\" This app would allow a Karate Instructor to hold classes over the Wii U, with students in their living rooms. It could work under various business models. For example, an owner of a real life Dojo could buy an app which includes VidyoLines for instructors (allowing them to host multipoint classes online) and guest accounts for students (allowing them to join the classes). Or perhaps a service could sell the app to students for approximately the cost of a Dojo membership, and allow them to select from a choice of online instructors. My best guess is that we will see some creative adaptations in the next year, before something sticks and becomes the standard model. Regardless of the logistics, the potential uses (home personal training, shopping, tutoring, gaming, socializing, etc.) are exciting and fun. I really can't wait to see what they come up with. \n\n David Maldow, Esq. is a visual collaboration technologist and analyst with the Human Productivity Lab and an associate editor at Telepresence Options. David has extensive expertise in testing, evaluating, and explaining telepresence and other visual collaboration / rich media solutions. David is focused on providing third-party independent analysis and opinion of these technologies and helping end users better secure their telepresence, videoconferencing, and visual collaboration environments. David is also an avid gamer and follows closely the integration of videoconferencing into gaming applications. You can follow David on Twitter and Google+.